Crafted in sterling silver with a chic oval snap fastener with hummingbird motif, this elegant bracelet is the perfect starting step to begin your collection. Complete with your first charm, a heart and leaf motif graces the silver charm. Discover all the ways to express yourself with one of a kind jewellery that reflects your life and experience. 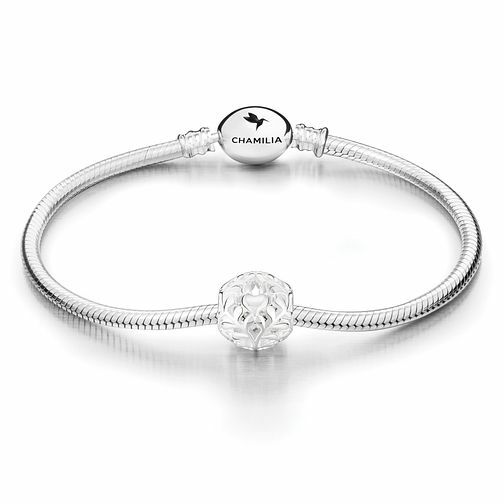 Inspired by your personal sense of style, Chamilia jewellery is as unique as you are. Chamilia Hearts & Vines Gift Set is rated 4.9 out of 5 by 44.